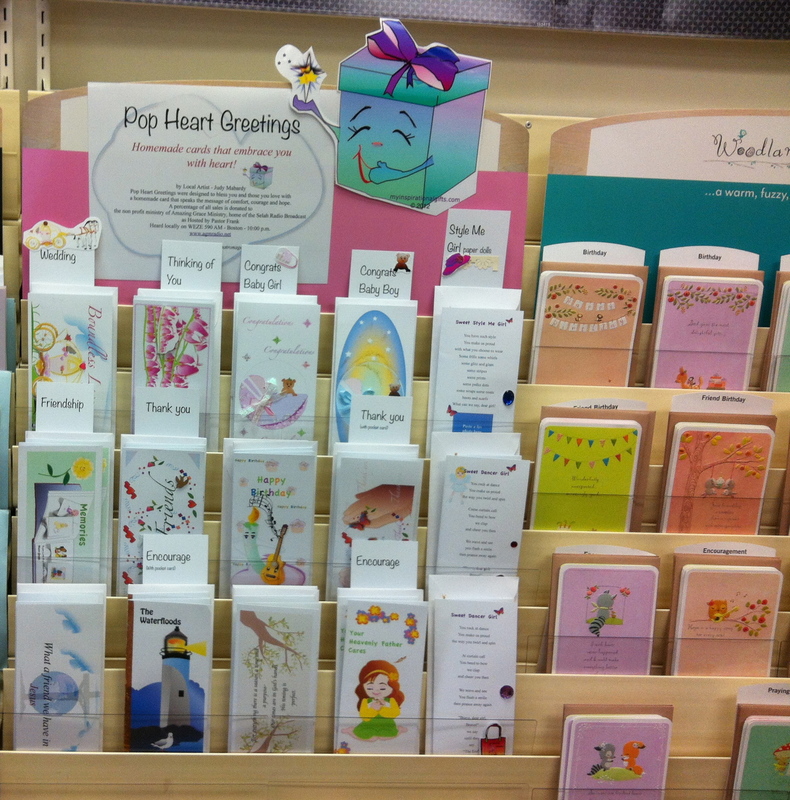 Looking for a card or gift that will embrace you with heart? Want to share the message of comfort, courage, and hope with your loved ones? My Inspirational Gifts is for you. Come check out Judy’s website! Recognize this character? Yes. It is Inspir (in-spir). Inspir is short for inspiration and Judy’s logo character for her business, My Inspirational Gifts. Anything that Judy does as she helps me in ministry, she uses Inspir as her signature. She and I have worked in Selah radio ministry together for a long time. Perhaps you have received a return call from her or a card or letter. Sometimes you will hear her sing on Selah or sharing a devotional. The letters and cards you receive in the monthly Selah newsletter are more often than not Judy’s own designs. Judy always uses her gifts and talents to bring a blessing. Her inspirational cards and gifts bless so many people and she is blessed and grateful for your cards to her of thanks, appreciation, and love. They are immensely encouraging to her and to me to see her blessed by you in this way. We are so excited to tell you that she now has a print on demand shop. If you don’t know what a print on demand shop is, let me tell you. Basically, Judy has pictured various designs she created, on a page in her shop, for you to view. When you see a design you like, choose from the list of any available product in her shop to put that design on! 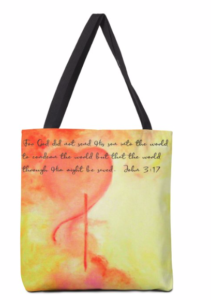 Example: You might like John 3:17 oil painting design. 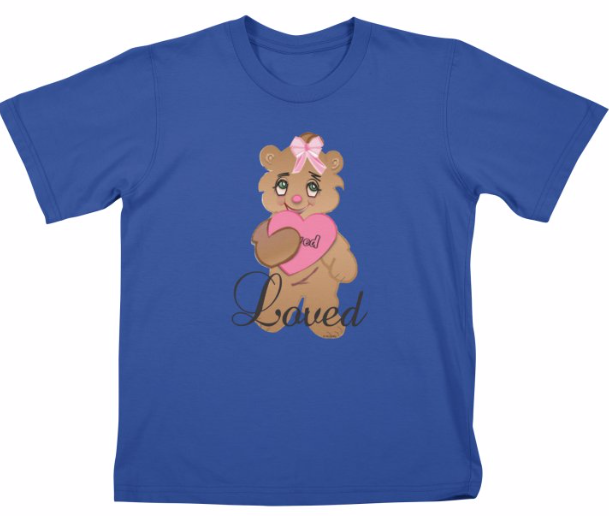 You click on that design and a list will open of all the possibilities of products such as T-shirts, hoodies, tote bags, throw pillows, shower curtains and more that design can be put on. Click on the item. (Let’s say a tote bag) The shop will show you a tote bag with John 3:17 oil painting on it. Love it. Buy it. Get it a few days shipped to your door. It’s that simple. 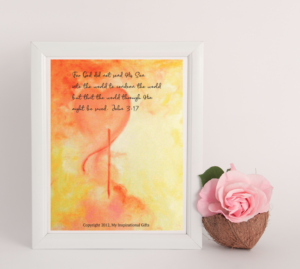 Below is an example of John 3:17 oil painting in a frame. 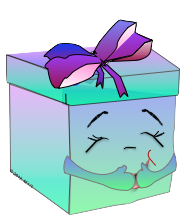 Perhaps you would like to see it as a tote bag? Judy also has a blog about her art and the stories behind the making of her designs and inspirational/devotional thoughts that will inspire you in your walk with God. 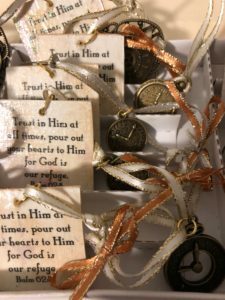 Get a monthly update on her newest available designs, cards, and gifts and a word of encouragement delivered right to your inbox. A sample gift is wooden tile scripture bookmarks with charms. 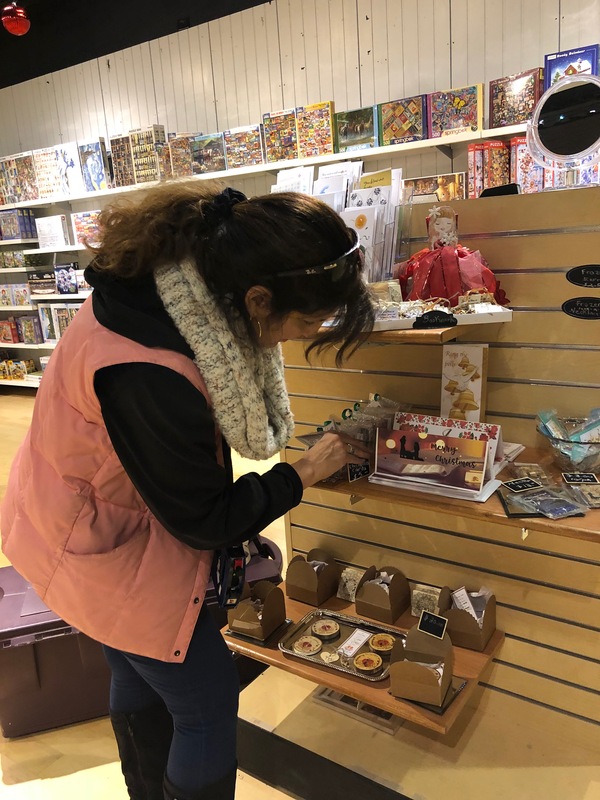 see My Inspirational Gifts in the Unique Designs shop in Burlington Mall from now until May 2019. 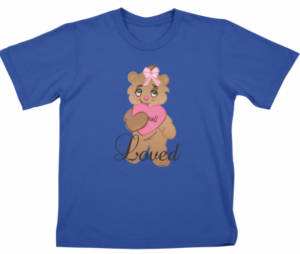 If you would like a customized or personalized gift such as this one with your child or grandchild’s name on it, contact Judy by clicking on this link: myinspirationalgifts.com or leaving a message. Pop Heart Greetings is the name of the greeting card line of My Inspirational Gifts. 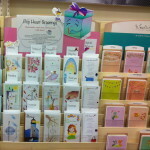 They are homemade cards that embrace you with heart! Judy’s illustrated inspirational ebook is also available on this website for a suggested donation of $1.00 or more. It is called Be Still Moments with God. Thank you for your many wonderful comments on this ebook. Thank you again for your love and support of Selah Radio.